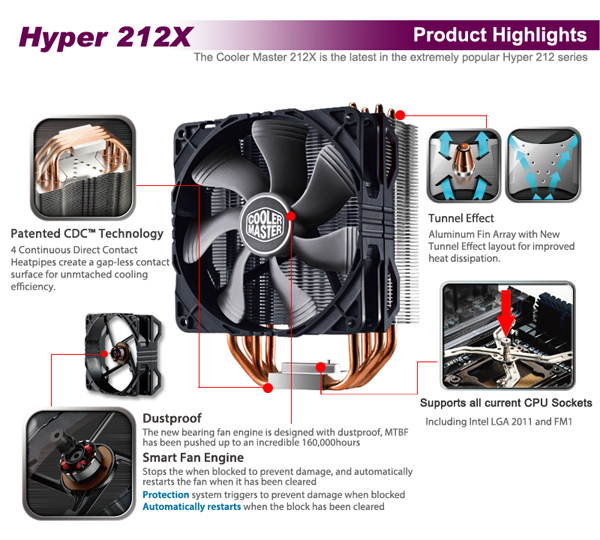 The Cooler Master Hyper 212X introduces several new features to the incredibly popular 212 series. 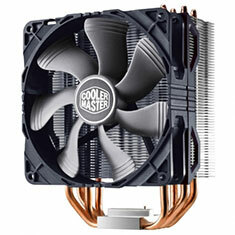 It uses the same Patented Quad CDC Heatpipe array but features a completely new cooling fan and an improved fin-blade layout. Thanks to the new Smart Engine and 4th Generation Bearing, the MTBF has been pushed up to an incredible 160,000 hours while reducing bearing noise. 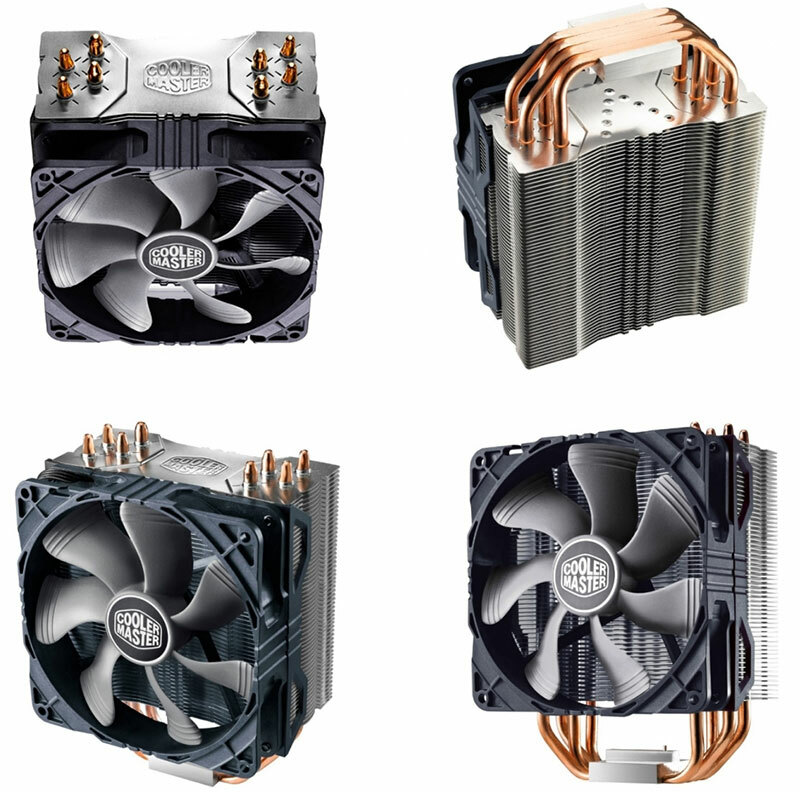 The redesigned Fan-Blades and Aluminum Fin-Blades have both been optimized to create micro vortices that boost the airflow and circulate it around the heatpipes. 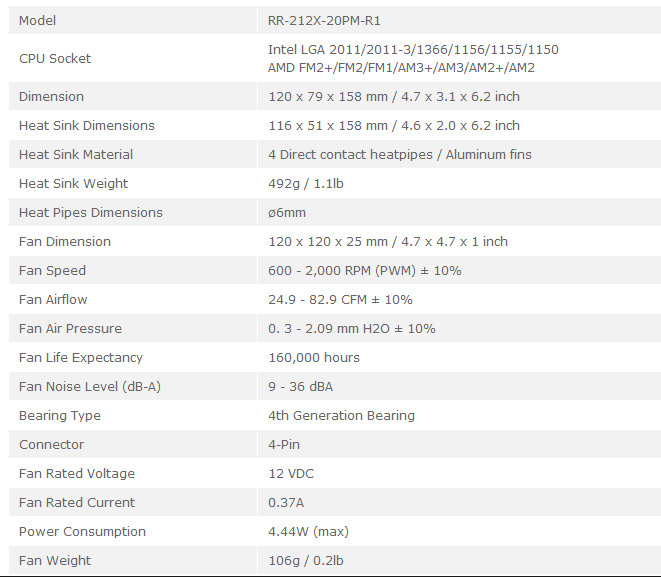 4th Generation Bearing - MTBF of 160,000 hours thanks to highly durable POM components. Smart Fan engine - stops the fan when blocked to prevent damage, and automatically restarts the fan when it has been cleared.